Wexford Opera Festival Stars Arrive. 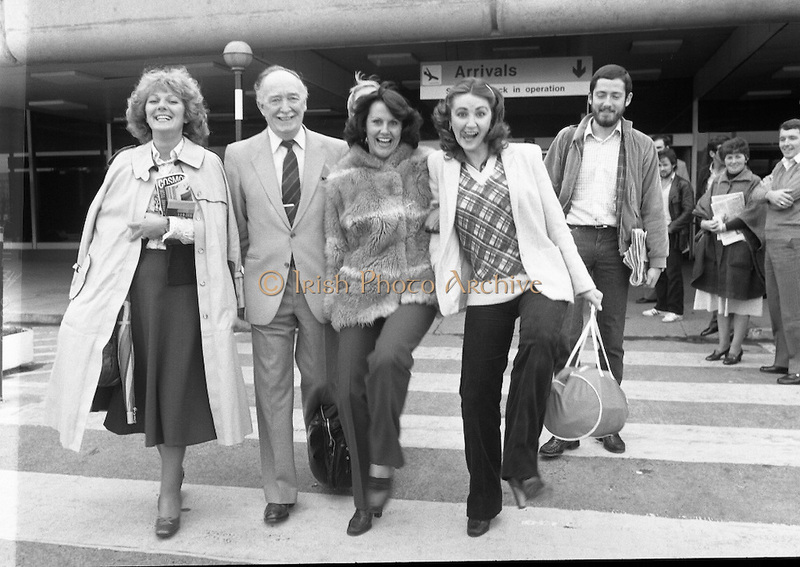 (N44)..1980..05.10.1980..10.05.1980..5th October 1980..Today saw the arrival of some of opera's best singers arriving at Dublin Airport. The singers are en-route to Wexford for the annual Opera Festival..Among the noted opera singers to arrive in Dublin were, Magdelana Cononavici, Strasburg, Lesley Garrett, london, John Winfield, London and Christine Isley, United States. The artistes were met by Mr Justin Collins,Promotions Manager, Guinness and a member of the Wexford Festival Opera Council.